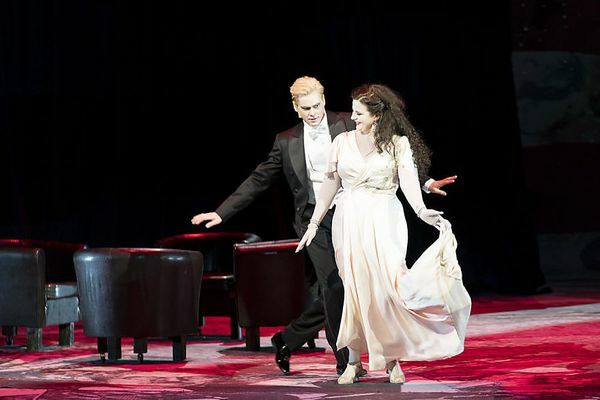 2017 ALEXANDER GELLER made a huge impression as MAX in 'Der Freischütz' at the Heidelberg Theatre. 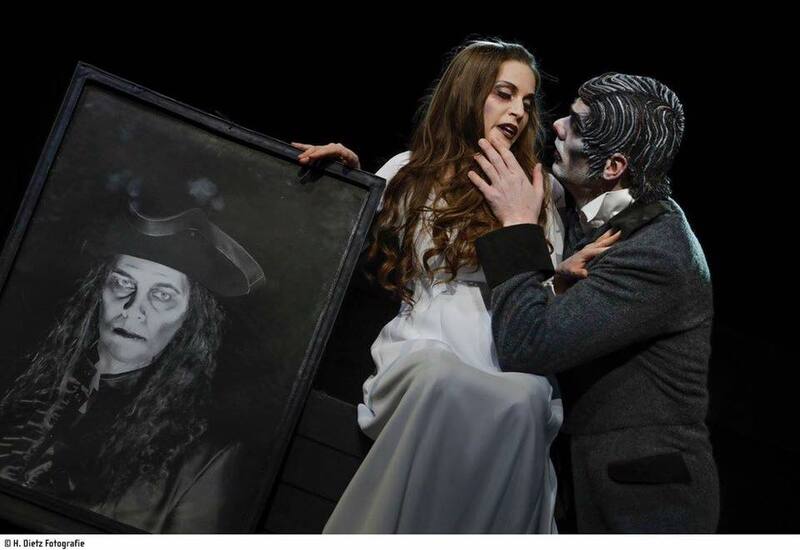 In the season 2016/17 he already succeeded here as ERIK in 'Der Fliegende Holländer' and ARNDT in Korngold's opera 'Der Ring des Polykrates' and he enchanted the audience as MR X in 'Die Zirkusprinzessin' in his Austrian debut at the Opera House Graz. 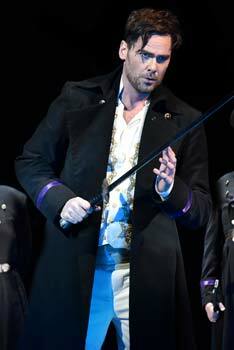 He returned here in the season 2017/18 as CARAMELLO in 'Eine Nacht in Venedig'. He sang ERIK in 'Der Fliegende Holländer' at the Hof Theatre, gala concerts with the Vogtland Philharmonic Orchestra abd the Thüringen Symphonic Orchestra. In summer 2018 he was TASSILO in 'Gräfin Maritza' at the Lake Festival in Mörbisch. Guest engagementslately brought Alexander Geller to the Kaiserslautern Theatre as JONTEK in 'Halker' and to the Magdeburg Theatre as SYMON in 'Der Bettelstudent'. 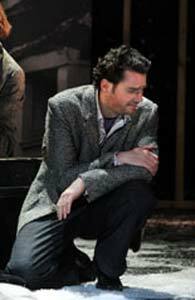 He jumped in for an indisposed collegue as FERNANDO in the dress rehearsal of LA FAVORITA at the Deutsche Oper Berlin. In this very role, he earlier knew great successes at the Cottbus Theatre, where he had a permanent engagement, performing such roles as ALFREDO in 'La Traviata', the KNIGHT HUGO in 'Undine', RUGGIERO in 'Alcina', COUNT TASSILO in 'Gräfin Maritza' or BELMONTE in 'Die Entführung aus den Serail. He covered Jonas Kaufmann as the KING'S SON in Engelbert Humperdinck's 'Köningskinder' at the Zürich Opera House. 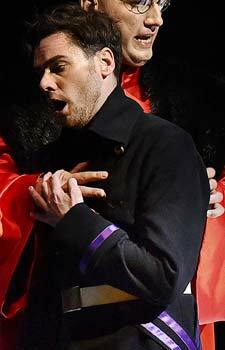 From 2010 to 2014 Alexander Geller was a permanent member of the Mecklenburg Municipal Theatre, where he portrayed RODOLFO, the DUCA DI MANTOVA in Verdi's 'Rigoletto', SOU-CHONG, FENTON in 'Die lustigen Weiber von Windsor', the 1st ARMOURED MAN and the 1st STRANGER in 'Der Vetter aus Dingsda'. Alexander Geller started his musical education with Evelyn Dalberg, Stefan Adam and Otto Hieronimi. Later, he was teached by Ralf Willershäuser and Michael Rhodes. Master classes brought him to Monika Pick-Hieronimi, Ivan Anguélov and Ludwig Baumann. Hist first concert engagements brought him to the Verbier Festival and the Salzburg Festspielhaus under the musical direction of Wolfgang Seeliger. 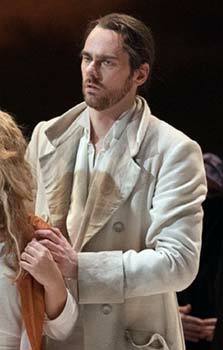 Alexander Geller also was ODOARDO in 'Ariodante' at the Händel Festival Halle. First engagements took him as TASSILO in Kalman's 'Gräfin Mariza', as ZAREWITSCH in Léhar's operetta, as PRINCE FALLING STAR in Künneke's 'Frau Luna', as VITEK in Janacek's 'The Makropoulos Case' and as CHEVALIER in Poulenc's 'Le Dialogue des Carmélites' to the Gera-Altenburg Theatre. Alexander Geller is finalist of the 7th International Singing Competition of Wagner Voices 2012 and semi-finalist of the 51th . Francisco-Viñas-Singing-Competition 2014. Future engagements include his return to the Vogtland Philharmonic Orchestra, BARON FRITZ in 'Die Großherzogin von Gerolstein' at the Halle Opera House, MAX in 'Der Freischütz' at the Dessau Theatre, the 1st STRANGER in 'Der Vetter aus Dingsda' in Detmold, EISENSTEIN in 'Die Fledermaus' at the Opera Graz and BELMONTE in 'Die Entführung aus dem Serail' at the Jyske Opera in Denmark. 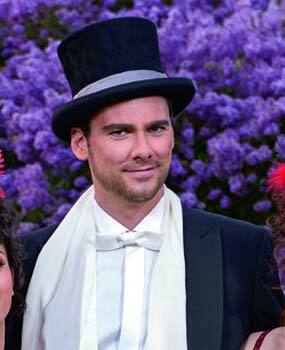 In the role of Max the guest performer Alexander Geller, a versatile tenor, who has already sung a.o Tassilo („Gräfin Mariza“) in Mörbisch and Caramello („Eine Nacht in Venedig“) in Graz. He has no problem with the direction’s platitudes or with the requirements of the part. He has a slender tenor voice with a present tone and brilliant “squillo” , capable of perfectly articulating and performing the dialogues. 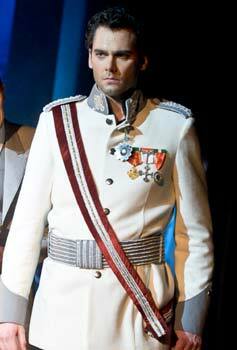 … soldier Fritz (perfectly casted with Alexander Geller). And then there is Alexander Gellers Erik: an astonishing, both powerful and lyrical voice, a first class performance, which turns the other outsider in the maritime society into the third, tragic figure he actually is. 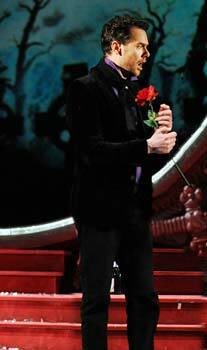 But seldom becomes so clear as in this performance. 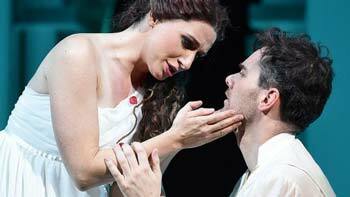 And Alexander Geller with his fantastic tenor voice was the ideal cast. Alexander Geller, slender and lanky with a rich voice full of nuances and expression succeeded in compensating the hollow goings-on of the precise portrayal. 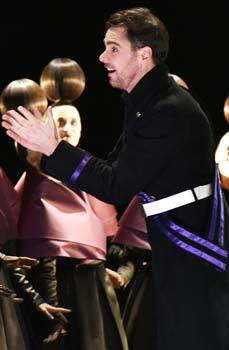 It was only because of this evocatively present, always concentrated actor, the director's concept could convincingly be realized. 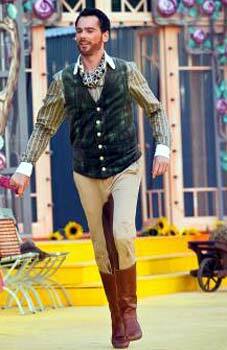 With plenty of tenoral expression Alexander Geller excellently sings and plays Max. The young dramatic tenor Alexander Geller is on his way to become a real heldentenor, because he already succeeds in combining his melodious timbre with vocal power. Star of the evening was undoubtedly the young tenor Alexander Geller, meanwhile a permanent member of the Cottbus ensemble. He is a real spinto-tenor in all aspects, absolutely ideal for this rtepertoire with his light high registers and his smooth elegance. 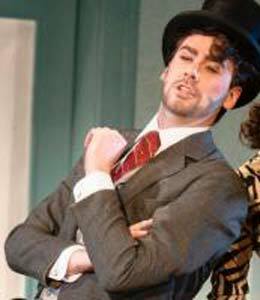 „ A great tenor-surprise - Alexander Geller (Fernand) seems to be at ease in such parts, full of high notes. 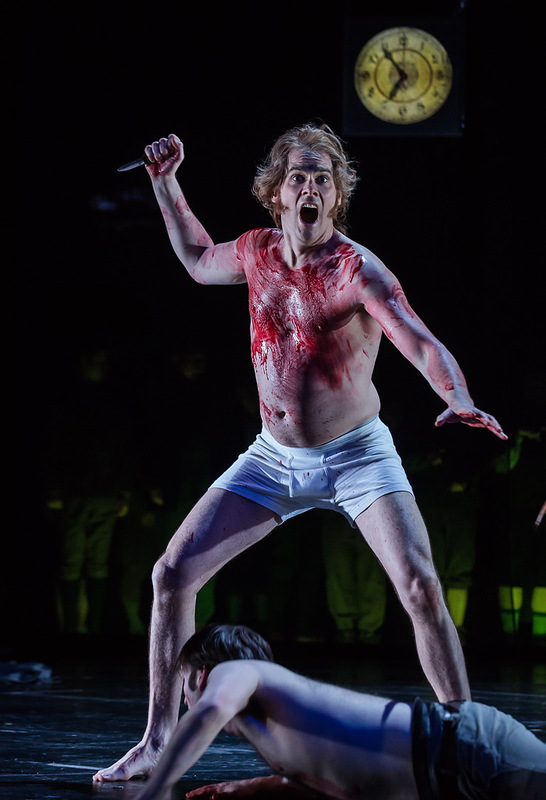 He has a wonderful melodiousness and also a dramatic attack in the securely guided, colourful voice. ."
Alexander Geller as the young hero Fernand: a brilliant powerfull light voice, strong breath and brilliant high registers and lyrical intensity. Also in acting he was the star of the evening. Making us mewlt away.